It's funny for me to read about "Happy People" being one of the weakest songs in the history of this blog because I'm Polish and "Happy People" was very big hit in Poland in the 80s. At that time Polish DJs did not care what was the single and they just played songs from albums they liked. It was very difficult to buy ANY record from western Europe so Polish chart lists were made by balloting (people were sending postcards to radio with titles of their favourite songs). 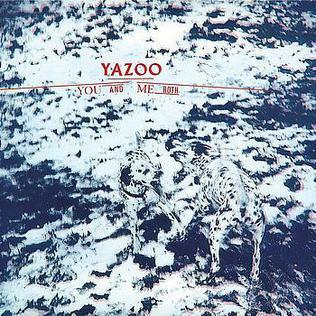 "Happy People" are still the most popular song by Yazoo here so I was very surprised to discover that the rest of their songs is sung by woman and much better than this. I'm sure that kind of simple optimism would work better - seem more powerful, more something to aspire to - in a country which had recently gone through martial law.